The anti-inflammatory properties of turmeric come from curcumin, which is said to reduce swelling and even prevent certain oral health complications. The various benefits that come from the spice now make it a popular natural remedy for boosting oral health by offering additional support when treating gingivitis and mouth cancers. In fact, according to a study by the Journal of Indian Society of Periodontology, turmeric is said to be as effective as traditional mouthwash when it comes to treating gingivitis. Gingivitis causes the gums to become infected and inflamed. According to the previous study, it was found that patients who used 0.1% turmeric extract in mouthwash twice a day experienced a significant reduction in plaque, gingivitis, and bacterial growth when compared to traditional mouthwash. Further research by GreenMedInfo says that turmeric is also beneficial when treating mouth cancers, especially those that are resistant to chemotherapy. According to the research, it was found that the nanoparticles of turmeric extract could kill oral cancer cells, allowing it to aid the treatment of certain cancers in the mouth. While most studies have used turmeric extract to gain the benefits of the spice, Colgate offers various other forms of the spice to achieve the same benefits. 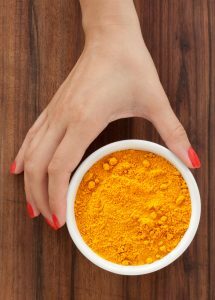 For example, creating a turmeric paste using the spice will help treat inflamed gums, especially those with gingivitis. 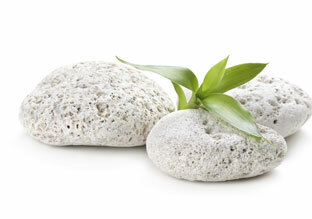 In addition, creating an herbal mouthwash using the spice will stop the pain and swelling of inflamed gums. The benefits of the herbal treatments have now made turmeric a common treatment among holistic dentists. Using the spice for oral health is an easy and effective means to reduce and even reverse inflammation, gum disease, and bacteria growth. In some cases, the use of the spice is combined with traditional dental treatments to further enhance the effects of treatment. At Enclave Dental, we are committed to bringing you the most comprehensive care possible. 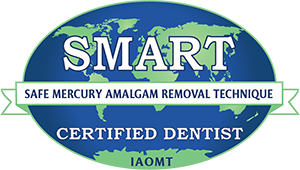 We are a holistic dentist in Southlake that takes dental care to a different level by using safe holistic treatments to promote your oral health. By minimizing the amount of chemicals and materials you come into contact with, we enhance whole-body health to revitalize the dental care experience. If you’re ready to try a natural approach to dental care, call our office at (817) 803-5816 to learn more about the anti-inflammatory benefits of turmeric.